Peanuts characters plush toys not only make great collectibles but are also making a comeback as a popular children's toy. 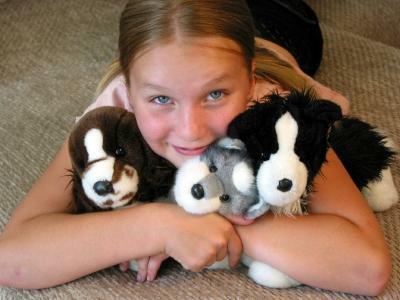 The Peanuts cartoon comes to life with these adorable plush toys from the past and present. Charles M. Schulz created the Peanuts characters in his daily comic strip back in 1950. In 1999, when Schulz retired, his daily comic strip was being published in over 2,700 newspapers worldwide. During the 1960's the Peanuts comic strip expanded into a worldwide business that included television specials, cartoons, plush toys, clothing and more. In 1965, the beloved holiday special, A Charlie Brown Christmas, aired on television. Each year children and adults make a tradition of watching the Christmas and Halloween Peanuts specials on T.V. Peanuts syndicated cartoons still air on Warner Brothers and the Cartoon Network. Other characters evolved in the early or later years of the cartoon and show and it is possib. It is possible to find plush toys in their likeness, especially Snoopy. Snoopy was the first Peanuts plush toy, followed by Charlie and Woodstock. Later, Lucy and Linus joined the crew. 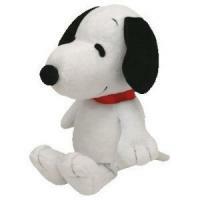 The original Snoopy plush toy came out in the late 1960s. An original plush Snoopy is worth anywhere between 25 to 100 dollars depending on the condition of the toy. The toy was soft and ultra cuddly with long floppy black ears.